Ho Ho Ho shop your way to enjoy Christmas Sales with exclusive discount up to 50% ! 24-31 Dec 2016 ! Don't miss out ! Visit your nearest SENHENG Showroom to enjoy it while stocks last. Especially when you have irresistible Christmas discounts of up to 50% at Senheng! 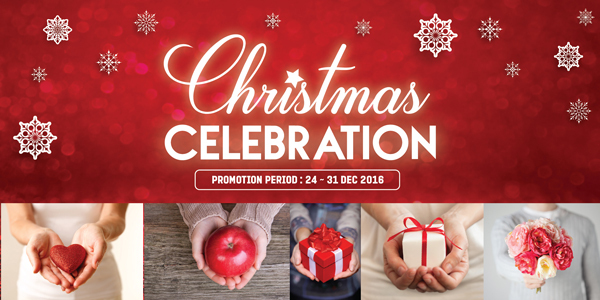 So grab yourself some great deals from Senheng outlets across Malaysia before the 31st of December 2016. SENHENG is launching a marvelous Christmas Sales with exclusive discount up to 50%. It truly comes from the Santa’s gift. Therefore, Ho Ho Ho shops your way to enjoy this Christmas Sales. Available at all SENHENG Showroom. Hurry up ! Visit your nearest SENHENG Showroom to enjoy it !